Striving to transform our clients’ potential into reality and coming through time after time, year after year for the clients who place their trust in us. Commitment is what transforms a promise into reality. It involves coming through time after time and making time when there is none. It is the driving force behind what The Rockport Group does for not only our clients, but the community in which we live. 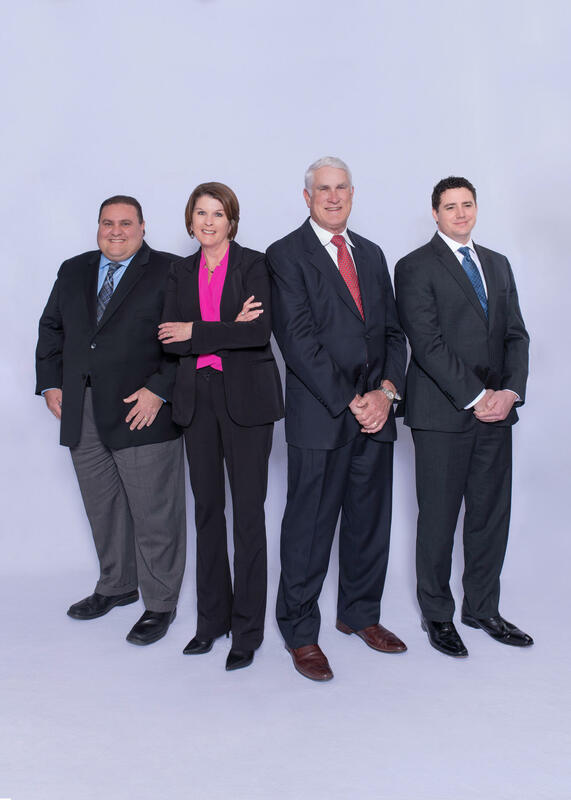 The Rockport Group was founded by John Jackson, whose family has lived in the Rockport area for five generations, and Mike Farah, who brings almost 20 years of financial services experience to every client he advises. It is a team of financial professionals who are committed to helping clients fulfill their unique missions and visions for themselves and their families. Specifically, we provide clients throughout Texas and the US with guidance that includes their investments but goes far beyond to encompass virtually every aspect of their financial lives. Our approach is collaborative, family-oriented and deeply personal. We base our advice on far more than prevailing markets and economic conditions, customizing strategies to meet your unique circumstances and values, as well as your objectives and timeframe for reaching them. We subscribe to the notion that life is a journey between who you are today and who you are capable of becoming tomorrow. Helping to maximize that capability is what fuels our passion. You’re approaching retirement and wondering what it will look like and whether it will be all you hoped it would be. You’re already retired and concerned about whether you’ll be able to maintain your current lifestyle for as long as you live. You’re in the prime of your career but not sure what you should be doing to pursue financial security for yourself and your family. It is our belief that people who achieve significance do so by fulfilling a fundamental mission that drives them throughout their life. Our initial conversations help us get to know what that mission is for you. We take a total inventory of your finances, including assets, liabilities, trusts and insurance. We attempt to quantify your goals and determine where you are financially in relation to where you want to be someday. We develop an investment plan that considers your unique objectives, timeframe and feelings about risk. We also collaborate with Morgan Stanley specialists to develop strategies for other dimensions of your financial life. We put your plan into action through our own customized investment strategies that we manage on a discretionary basis. That means we assume responsibility for day-to-day investment decisions you would rather not make on your own. You can also expect us to address issues beyond your portfolio that may involve estate planning strategies, insurance, philanthropy and other disciplines. We are committed to keeping you informed about whether you’re progressing as anticipated. You can be certain we will monitor your strategies on an ongoing basis and make adjustments, when necessary, to reflect changes in your life and prevailing market conditions. We’re not being nosy when we ask you questions that seemingly have little to do with your current financial situation. We’ve just found over our more than 15 years of experience as a team that sharing information is the best way for us to understand why you wish to pursue certain financial goals and what you believe might be standing in your way. You can expect us to ask you where you grew up, where you perceive yourself to be financially, whether you’re concerned about your family’s future and how confident you are about retirement, college funding and other financial issues. You can also expect us to collaborate with your attorney, accountant and other professionals in your life when developing your holistic plan. When appropriate, we do not hesitate to access the extensive resources of Morgan Stanley and consult with specialists in such disciplines as trusts, private banking and philanthropy. Clients often look to us as the quarterback of their financial team, coordinating the efforts of other professionals and integrating them into a cohesive plan with the right Xs and Os to help them advance toward their goals with greater confidence. 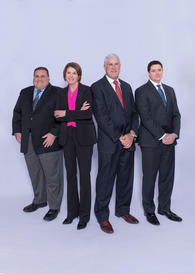 The Rockport Group team members span five generation of living and working in Rockport and South Texas. As a result, we often find that we know many of our clients before they actually become our clients. Some are friends of friends. Others are family members of existing clients. All are treated as if they were family too. We are acutely aware that people are often entrusting us with their nesteggs – assets they’ve worked their entire lives to accumulate. We take that responsibility to heart and pledge to provide these people with advice and guidance that make a difference in their lives. When we believe that tactical changes to your strategy might be advisable in light of changing economic or market conditions. Our client relationships are marked by their depth and longevity. Many have extended from generation to generation. Often we are asked by clients to meet with their children or grandchildren to educate them on financial basics or to help them understand the complexities that may accompany the wealth they’ll inherit someday. As you can imagine, all our clients are important to us. That’s why we go the extra mile to make certain they understand what we’re doing for them and why we are doing it. The team also supports this organization, which John founded. It is dedicated to advancing and celebrating the educational excellence of the students and teachers across our school district. Scouting is very important to The Rockport Group. John and Bill Wilson are both Eagle Scouts and currently serve on the Executive Board of the South Texas Council, while John is a former Council President. The College of Business Dean’s Leadership Board. Co-founder of The Rockport Group, John began his financial services career in 1992 after working in his family’s seafood business for the previous two decades. He takes pride in a tireless work ethic that he inherited from the four previous generations of Jacksons who called Rockport their home. John considers it his mission to help clients understand why they are pursuing the goals they claim to be most important to them and how to go about achieving those goals with greater efficiency. He has earned several prestigious industry and firm designation over the years, including Certified Wealth Strategist and Certified Investment Management Analyst. As a Morgan Stanley-credentialed Senior Portfolio Management Director, he has the credentials to manage client assets on a discretionary basis. As a Family Wealth Advisor, he goes beyond investments to provide clients with guidance on estate planning and other complex disciplines. As an Accredited Investment Fiduciary, he is well equipped to advise foundations, endowments and other institutional investors on pursuing their missions, while meeting their fiduciary responsibilities. John is as committed to his community as he is to his clients. He served as President of The Rockport-Fulton Chamber of Commerce and led a revitalization effort to strengthen its finances and enhance its overall capabilities. He also founded The Aransas County ISD Education Foundation and The100 Club of Aransas County. An Eagle Scout, he has served as President of the South Texas Council for the Boy Scouts of America. 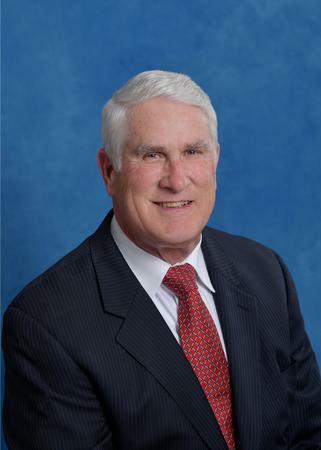 In addition, he is a board member of the Christus Spohn Hospital Foundation, a trustee of the Margaret Sue Rust Foundation and a past president of the Rockport Art Association. Other organizations that are especially important to him include: The Odyssey Afterschool Enrichment Program, Young Life of Rockport, Aransas County Historical Society and the First Presbyterian Church of Rockport where he sings in the choir. A graduate of Texas A&M, Kingsville (formerly Texas A&I) where he earned a BBA and MBA, John was an Academic All-American and a proud brother of Sigma Chi fraternity. A past president of the university’s Alumni Association, he was named a distinguished alumnus in 2007 and inducted into the University’s Football Hall of Fame. John’s personal narrative “Taking The Tide,” was published in 2011 and details the rich history of his first career in his family’s seafood business and its ties to Rockport. He and his wife Debbie continue to reside there and look forward to many more years of family gatherings with their two children Collin and Sarah (Kyle) and their two grandchildren Jackson and Ainsley. A co-founder of The Rockport Group, Mike has a passion for helping clients meet their most important life goals. 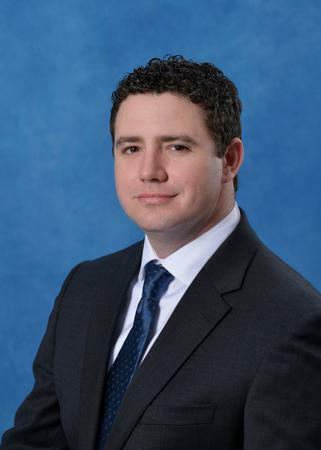 He began his financial services career in 2000 after graduating from Texas A&M, Corpus Christi with a BBA in Business with an emphasis on Finance. Over the years, he has earned a number of prestigious industry and Morgan Stanley designations that affirm his commitment to providing clients with meaningful and sometimes life-changing advice. As a Senior Investment Management Consultant and Morgan Stanley-credentialed Senior Portfolio Manager, Mike manages assets on a discretionary basis for clients who would rather not make day-to-day investment decisions on their own. As a Certified Investment Management Analyst and Chartered Mutual Fund Counsellor, he researches third party managers, mutual funds, ETFs and individual securities in an effort to identify those worthy of consideration for client portfolios. Mike played a key role in developing the team’s unique core and satellite investment strategy that can be customized to meet the needs of clients seeking growth, income and/or preservation of capital. An active member of St. Paul’s Catholic Church, Mike enjoys fishing, hunting, camping and spending time with his wife Analisa and the third generation of Farahs to reside in South Texas - his four children, Michael, Christopher, Paige and Matthew. Bill is the newest member of The Rockport Group, having joined the team in 2018. However, he brings more than 12 years of commercial and private banking experience to our practice. later, he fulfilled his desire to work face-to-face with clients by joining the private banking division of American Bank in Corpus Christi. There, he advised physicians and other professionals with specialized lending needs, as well as high net worth individuals and their families. 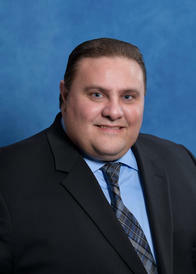 A proud graduate of Leadership Corpus Christi, Class XLI, Bill was named a member of Corpus Christi 40 under 40 in 2015. Like his Rockport Group colleagues, he believes in giving back to his community. An Eagle Scout, he currently serves on the Executive Committee of the South Texas Council for the Boy Scouts of America. In addition, he volunteers for Driscoll Children’s Hospital where he helps plan Fiesta de los Ninos, an annual fundraising event. Bill is an avid camper who loves hunting and fishing, but most of all, he loves spending time with his wife Bailey and their three young children, Grace, James and Elizabeth. Pat had just moved to Rockport with her husband in 1995 when she happened to see a construction crew mounting a Dean Witter sign on a strip center office. Already an experienced senior registered associate with Robinson Humphrey, Pat took the initiative and introduced herself to John Jackson. The rest is fortuitous history. Pat is the first person clients talk to when calling The Rockport Group. She helps them open accounts, transfer assets, arrange for distributions and gain access to Morgan Stanley’s online client capabilities. In short, Pat does whatever is necessary to help clients simplify their financial lives. In addition, she serves as the team’s direct interface with Morgan Stanley’s local, regional and national client service, operations, training, compliance and administrative departments. 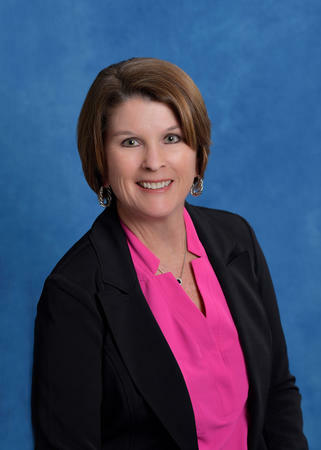 Like her Rockport Group colleagues, Pat is active in her community, supporting the Rockport Art Association and Rockport-Fulton Chamber of Commerce, among other worthy organizations. She and her husband Van have a grown son, Michael and look forward to spending time with him and the numerous friends that they have made since moving here from Charleston, SC almost 25 years ago. Ready to start a conversation? Contact The Rockport Group today.